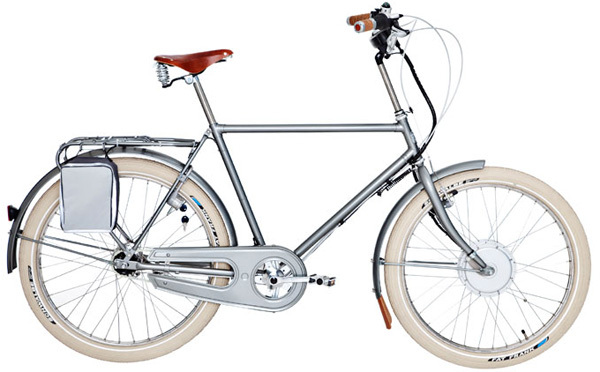 The currently top available electric city & hybrid bicycles are at the top of the list. Important concept electric city & hybrid bicycles (not yet scheduled for production) are at the bottom. 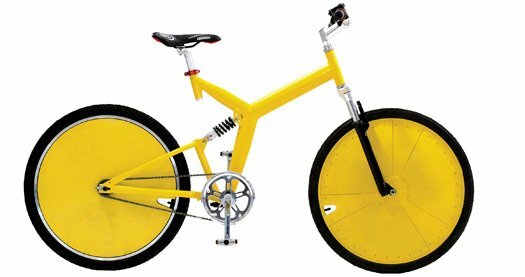 For a full list of electric bicycle manufactures, click here. Ride in the city with Bio Planet bike dual suspension trekking bike. 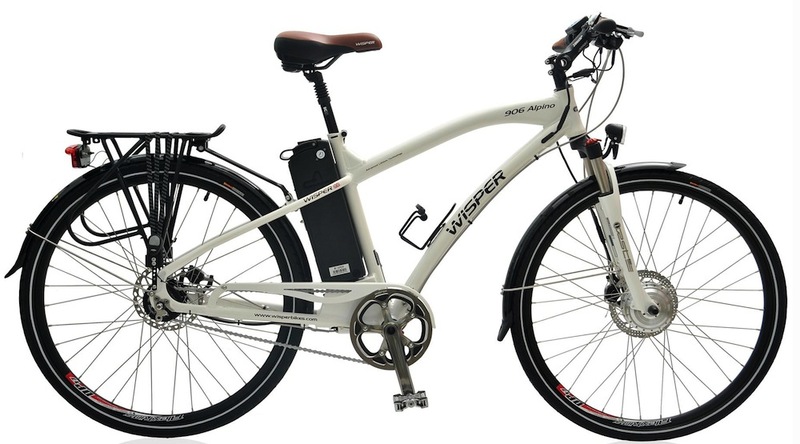 A model bike of 2013 that delivers a power of 250W up to 750W. Top speed of up to 32 Mph. Ride more than 100Km on electric power. Motor efficiency higher than average eBikes. 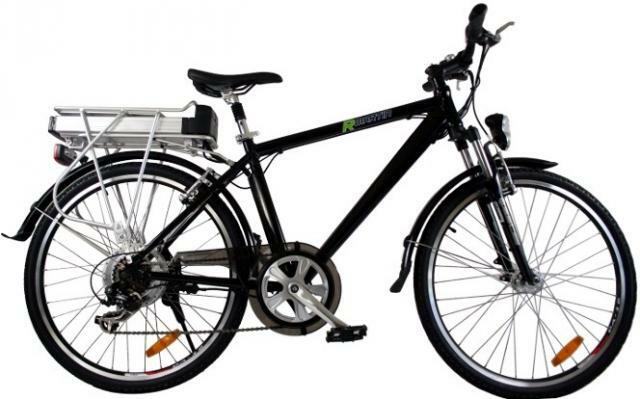 A front basket/tracking system helps in carrying loads with 500W power electric motor and a Li-ion 26V battery. Battery built inside the frame. Two different versions available a diamond frame and step through. The front basket, being attached to the frame. Smaller and lighter hub motor. 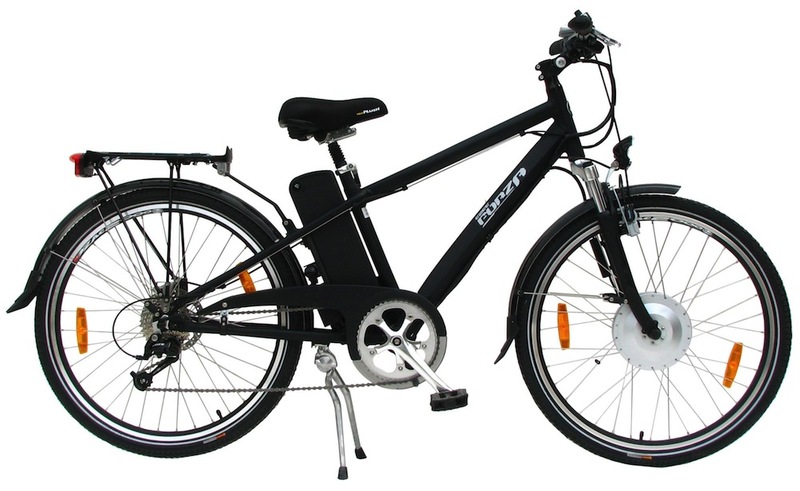 Daymak manufacture the electric bike “Shadow” which is the 1st wireless E-Bike. 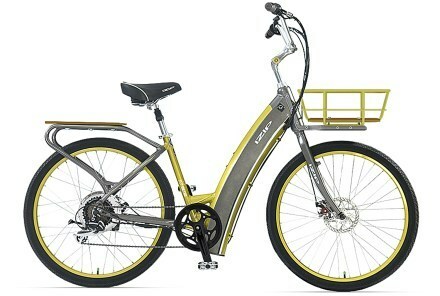 It’s environmentally friendly and with a power up to 500W and it enjoys a 35-40 Kilometer of ride. 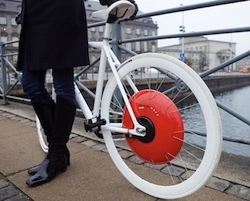 World’s first wireless electric motor assists bicycle. Available online in yellow color. Wireless Battery and motor is built inside the eBike. With a slient unique high performance motor of up to 700W and Shimano Deore rear sprocket, derailleur and 9 speed gear easily climb the hills smoothly. Also ride up to 80 Km upgrading to 37V 14Ah (518Wh) Li-ion Polymer battery. eBike with about 14 mph up a steep hill. Top speed of up to 20mph. Puncture resistant 26" x 1.95 tires. 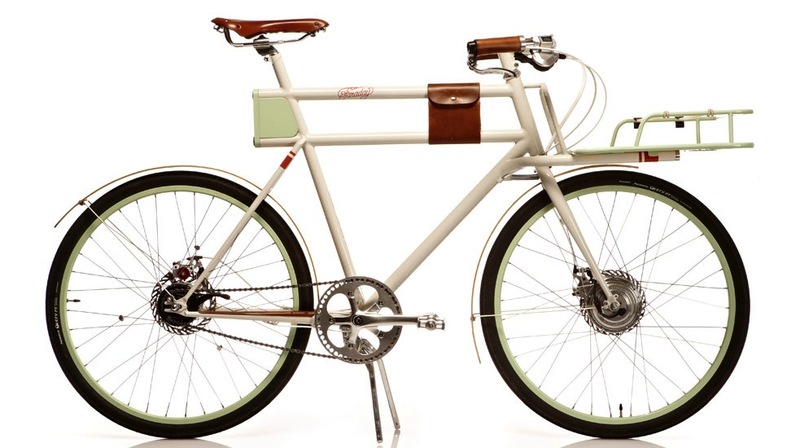 The Faraday Porteur surprises the people by it’s unique designed that is quite hard to consider as an electric bike at its first look. Little boost button, front lights, laser engraved trim, wood fenders and a custom aluminum chainguard – subtitle reminders that it is no ordinary bike. Classical 1940’s and 50’s design. Price is higher than other eBikes. Lightweight bike with 40 Km of range. Built in LED front and rear lights. Wood fenders and a custom aluminum chain guard. 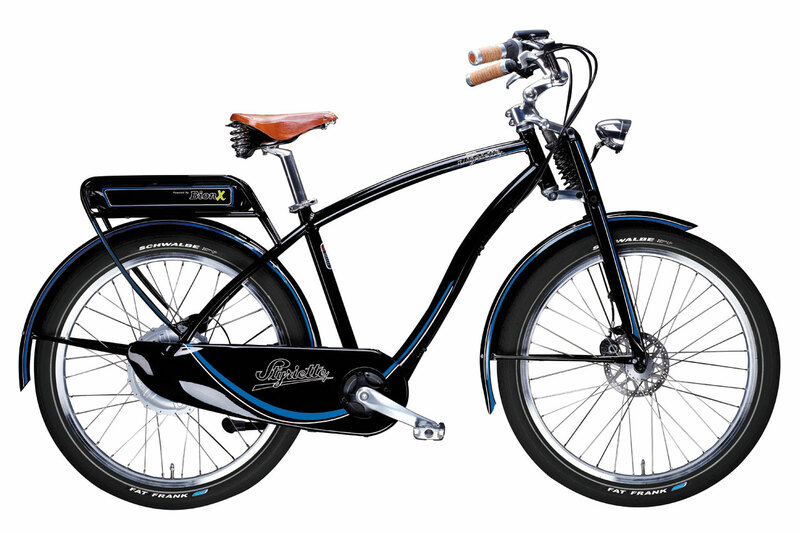 One of the best-selling electric bike in 2011 in Netherlands and also nominated for E-Bike of the year 2011. 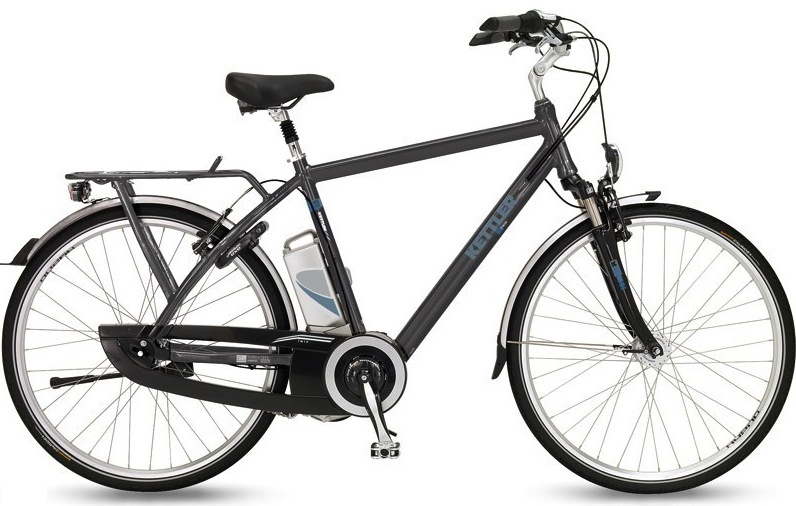 Ideal bike for commuting, shopping or recreational rides on flat terrain. The silent motor provides maximum assistance with minimal noise. Ladies can get on and off with ease thanks to the low and a spacious entry on the ladies’ model. 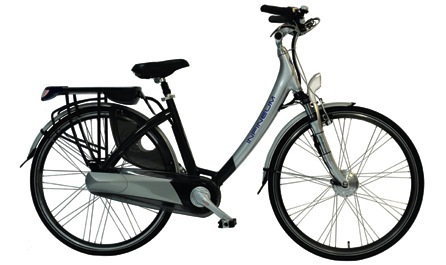 Best-selling eBike in 2011 in the Netherlands. The silent motor provides maximum assistance with minimal noise. Ride even more than 70 km and with two batteries ride 140 Km. Best for travelling with a front motor of 250W and 2*2376 Wh battery power also wheel size of 28”. 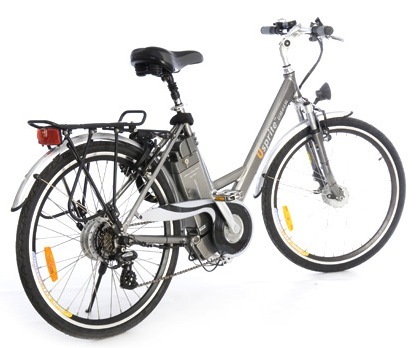 Hybrid electric bike with 250W motor. With Grace One you will feel strength, speed, innovation and design. No external battery pack destroyed the aesthetic line. A rotation of the throttle and the 1,300-watt rear hub motor accelerates, the electric motor bike to a whopping 45 km/h - without pedalling. Mountain bike with front suspension fork. 1.3 kW rear hub motor. Top speed of 45 Km/h. Wide is higher than the average eBike, 34.6 kg. Available at medium price range. Ride farther, faster, and with less effort on upgraded 2 Lithium Ion battery EnergyPaks. 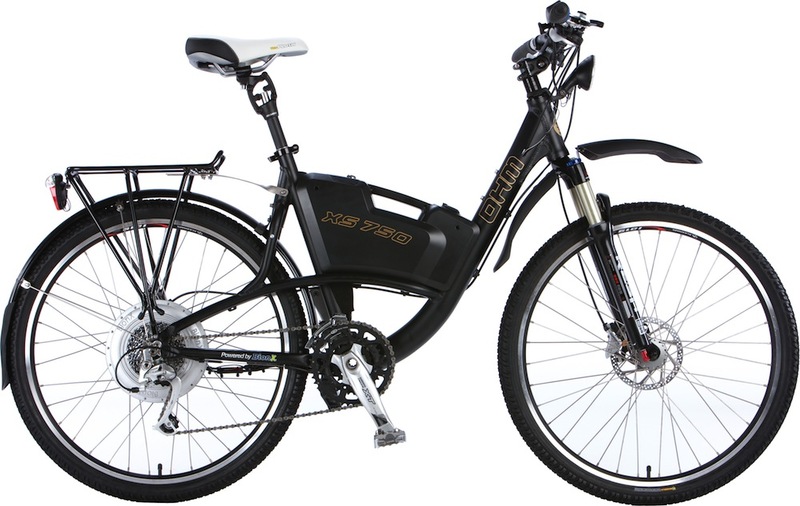 Cruiser Electric Bikes of Range 120 Km. Two 18 Ah Lithium Battery. 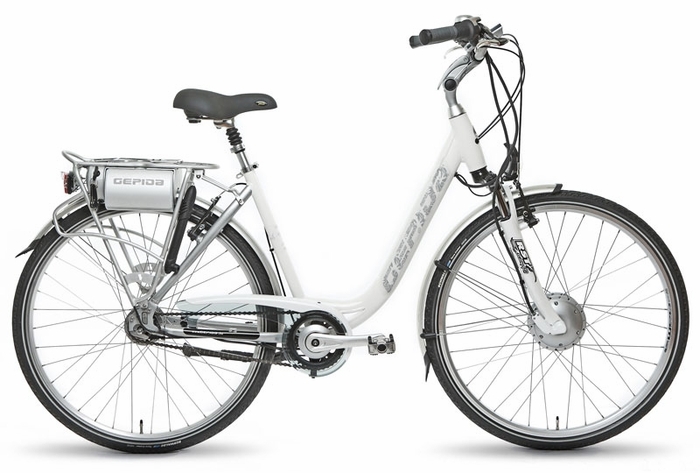 Average price like other cruiser E-bikes. 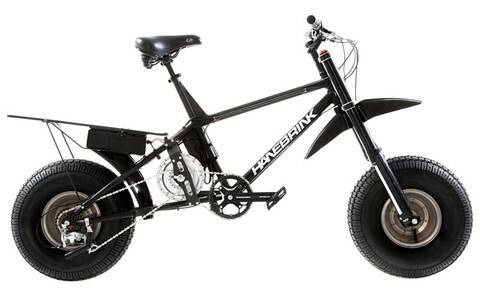 Designed by aerospace engineer Dan Hanebrink, this is the only electric bicycle able to negotiate steep hills and soft terrain. Easily ride on dirt, sand or snow by 51" wheelbase and 20 inch diameter x 8 inch wide tubeless monocoque wheels and tires. 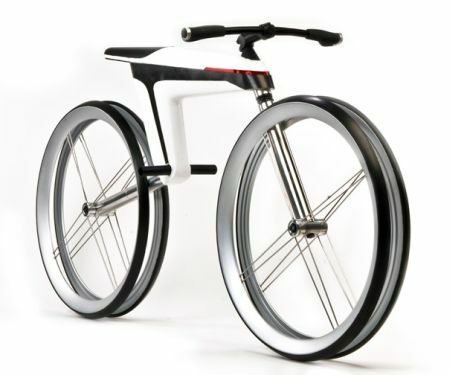 With a 750-watt brush-less electric motor, 14 speed gear configuration drives this bike on speed up to 40 mph. 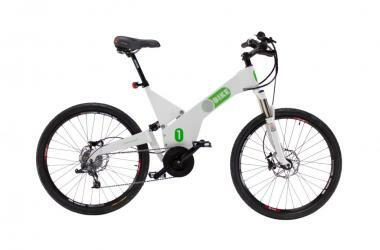 Mountain E-bike with larger wheel base 51”. Good for riding on dirt, sand or snow. Sealed Brushless motor up to 1.3 kW. 7 gears with up to 40 Mph. 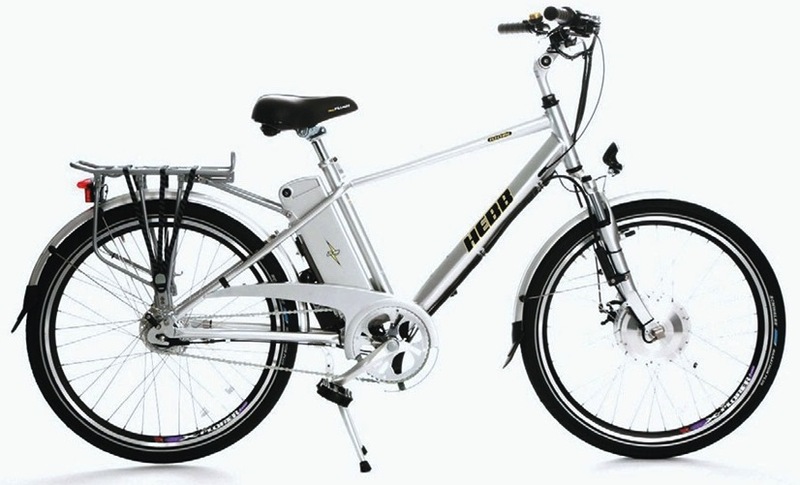 With a powerful planetary gear motor, along lasting Lithium Polymer battery, Shimano Nexus rear hub, Front disc brakes and Cateye digital speedmeter Hebb Electro Glide is one of the best electric bikes. 500W Motor and a range of up to 45 Km. Low maintenance equipment including full chain case. Suitable for all types of weather. 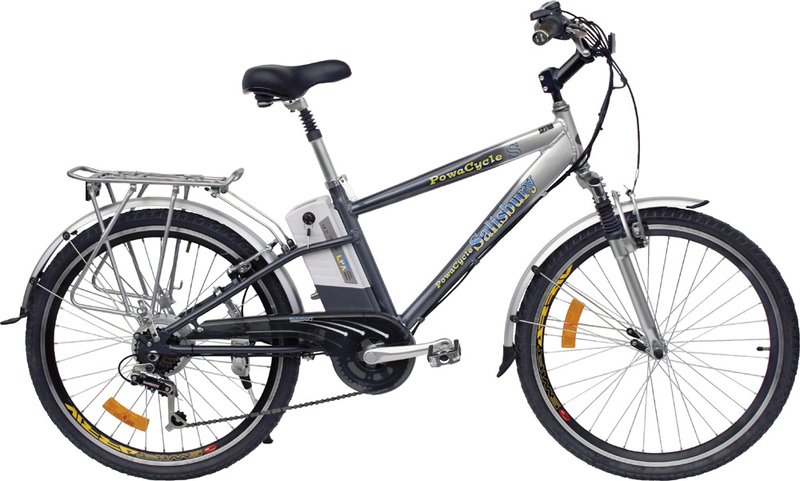 Classic step-through electric bicycle, comfort with style together with electric assistance Panasonic 250 watt brushless mid-mounted motor to give you that extra push when you need it. The Panasonic motor system has three levels of assistance and the battery will give you up to 50 miles of power. Panasonic Battery & 250W Motor. 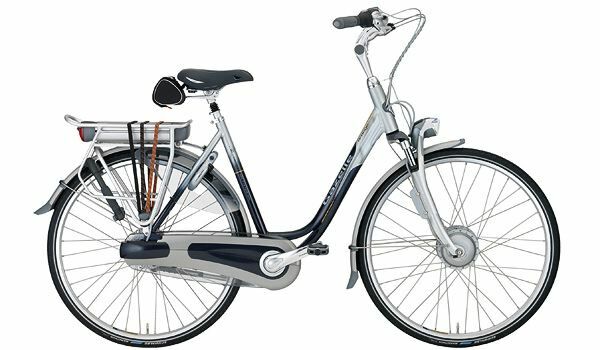 Sleek, strong and stylish, eye-catching electric bike with a light alloy frame With stainless steel spokes and chain, a new rack with LED lights and super-tough polycarbonate mud guards. A high quality lithium battery, powerful motor, throttle and three levels of Power Assist make this proudly one of the best electric bikes around. Hybrid E-bike ideal for town and country. Range of up to 100 Km. Strong and stylish capable of carrying luggage. Good E-bike in low budget. 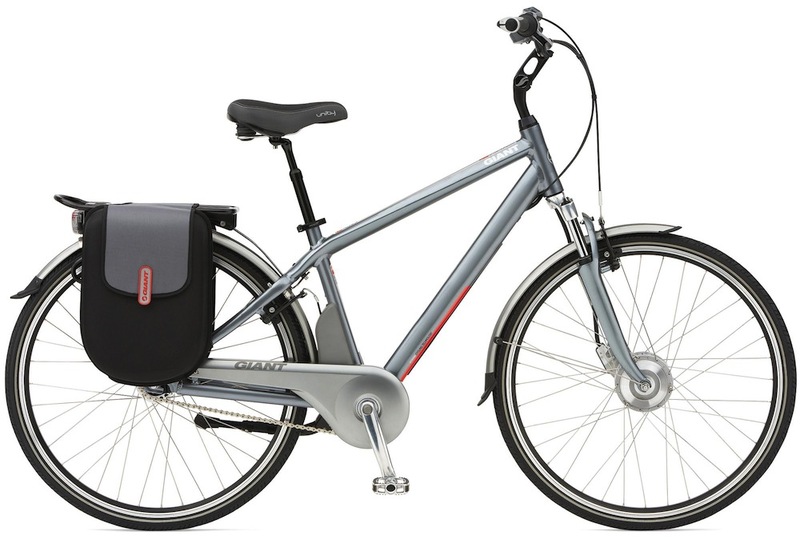 The Kalkhoff Pro Connect's high-performance motors with extra strong drives of up to 350 watts and 504 Wh, this bike offers you excellent performance, even on more lengthy journeys. Watch the landscape whizz by at up to 45 km/h. Commuter/leisure bike for road and tracks. Light weight of 20 Kg. 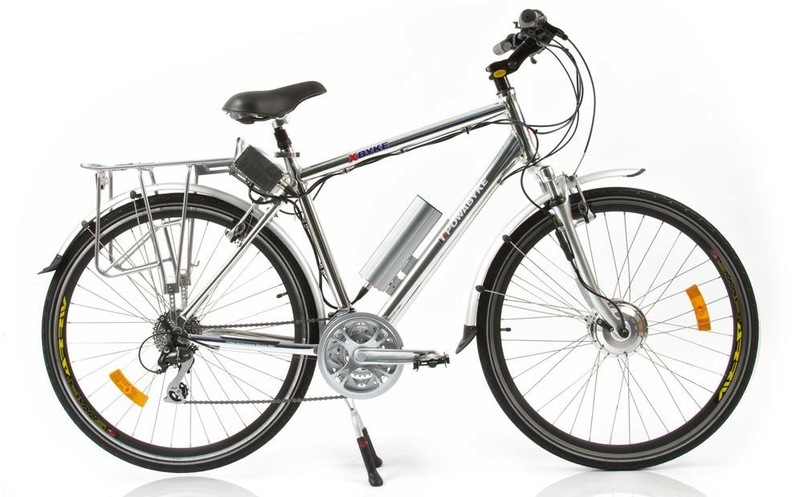 Kettle Twin is a 7 Speed Shimano Nexus gear equipped bike with Li-ion Manganese battery and 250W motor. 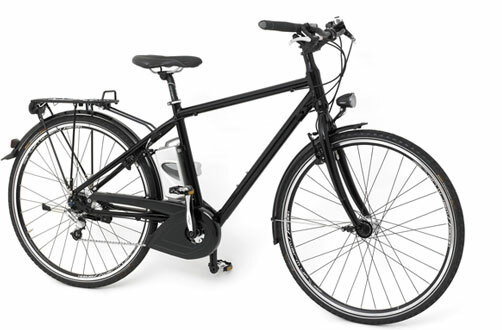 Panasonic 250w Center Mounted electric bike motor. 7 Speed Shimano Nexus gear. Halogen Lights for riding at night. German Engineering, Design and Manufacturing. 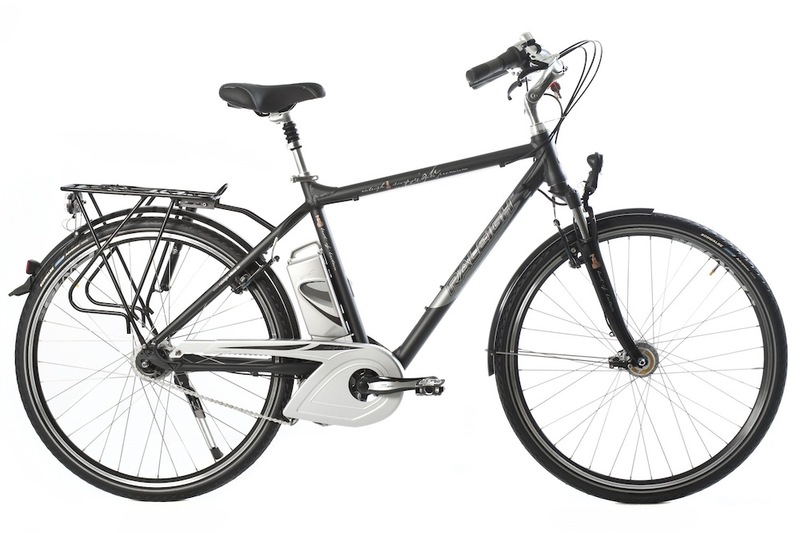 A superb bike for relaxed touring or for everyday use, with Bosch central motor of up to 500W and 36V Li-ion battery. Good for touring and for everyday use. Bosch central motor of up to 500W. The Electric Ute is a battery-assisted version of our very popular Ute, a long wheel base bicycle designed to carry loads of up to 100kg-perfect for transporting goods in the urban environment. Ride up to 100 km on 24V 13Ah battery 250W motor assisted. OHM XS750 is an off road bike with top of the line components designed for rugged terrain and light trail riding. The right combination of performance, suspension and balanced feel. BionX 350HT Power Series and Magura Durin Race Suspension Fork make the bike more exclusive. 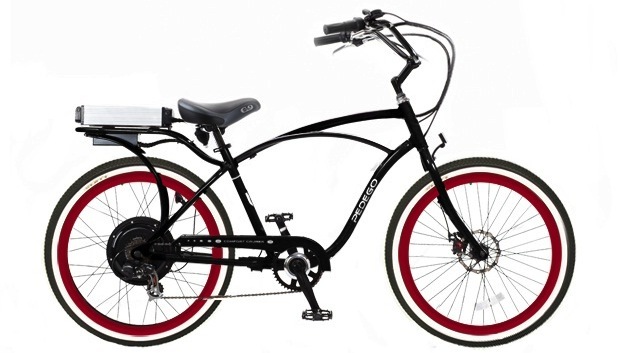 Pedego Classic Cruiser is a cool looking electric bike cruiser that is a comfortable alternative to the car or classical bicycle. With Dual function classic pedaling and assisted power 500W Brushless Rear Hub ride make hills no longer a daunting task. Lightweight lithium battery of 10 Ah/15 Ah 36V can take you 15-30 miles by themselves. Pi Mobility founder Marcus Hays set out to make a better, more durable, and more environmentally friendly electric bike. Key to making a product more sustainable is simply making that product last longer. Using a solitary arch of recycled aluminum. It has a unique design and 1300W DV Brushless Front Hub Motor and ability to ride 50-65 Km. 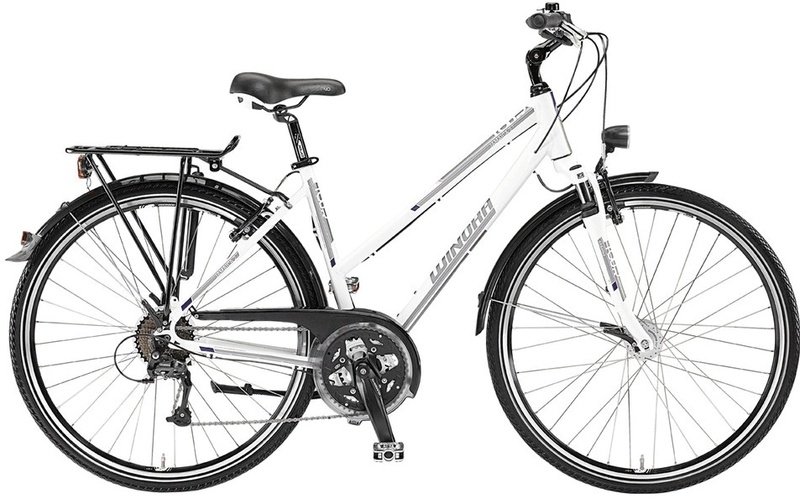 The X-24 Powabyke is the highest specification of the X-byke range with 24 speed Shimano gears. Powabyke X-24 makes it effortless for people to cover greater distances, take control of their travel and do their bit for the environment. 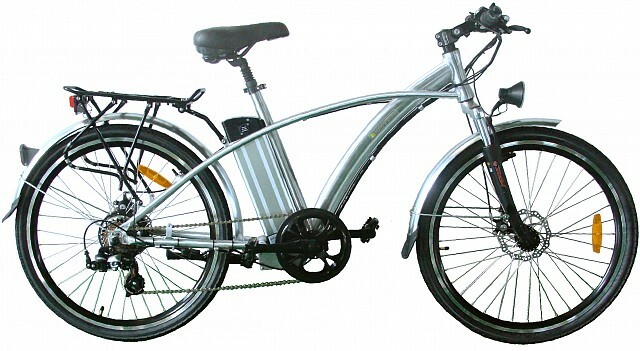 An affordable E-Bicycle with 180W Intelligent Brushless Motor and Lithium Polymer Battery of 24V and 273 Wh. With a 6 speed Shimano gear and 26” wheel ride 25-35 miles at a speed of 15 Mph. No hub motor. No middle motor. 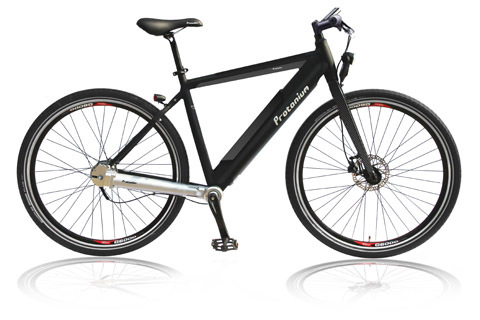 Protanium makes a revolution for electric bicycles with a completely new motor concept of upto 500W. Protanium introduced new super Slim Battery of 24V 216Wh/36V 418Wh. 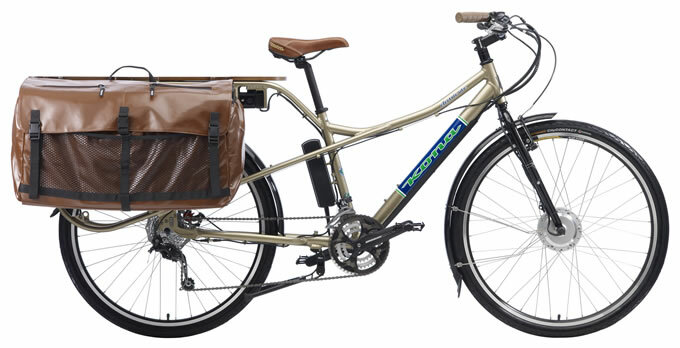 Raleigh Dove Deluxe is equipped with the Panasonic crank drive motor that has won world-wide approval for its efficiency, reliability, looks and lightweight setup. With 26v 8Ah battery it is possible to ride between 25 and 40 miles. Driving 250w of brushless power motor made it easy to ride at hill tracks. 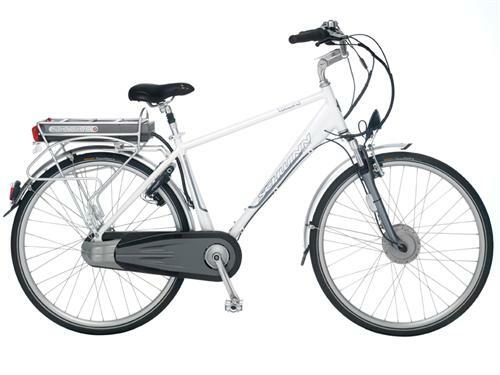 With a battery that charges in less than 30 minutes, the Schwinn Tailwind is ready to go when you are. Lightweight aluminum frame and front suspension fork ensure a comfortable ride. Shimano Nexus 8-speed rear hub is clean and maintenance-free, yet gives you the gears to tackle any terrain. The company smart is owned by Daimler Mg, the same company that produces the Mercedes Benz. Smart has teamed up with Bionx to supply all electrical parts from motor, to controller, to batteries and dashboard. On the BionX motor 250-1300W, Lithium Manganese battery 36V 10Ah, Smart can ride at a speed of 20mph and a range of 20-30 miles. 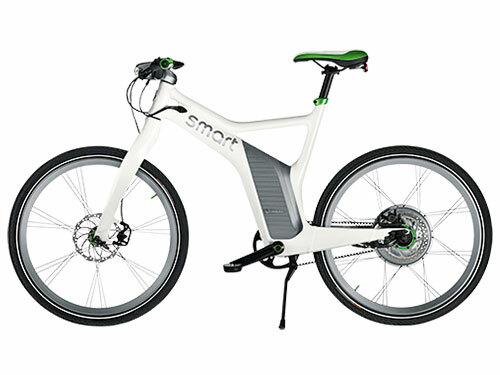 Smart is equipped with a single speed gear system, hydraulic brakes and is integrated with the Iphone. 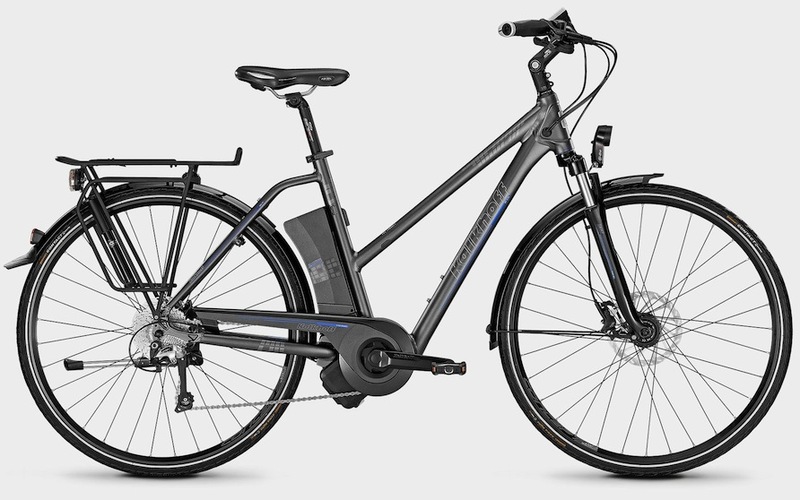 Stromer is a standard electric bike of integration, functionality, performance and style. 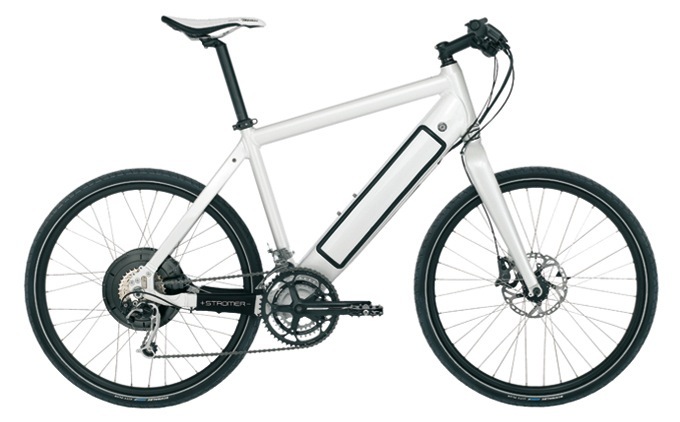 With a light weighted battery of only 3Kg 36V 522Wh battery and 250-500W Gearless hub motor Stromer Elite can run up to 100Km. 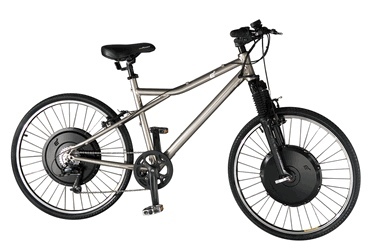 One of the most popular pedelecs in this range, the Hybrid 24 is equipped with a convenient wireless security key, easy-to-remove magnetic plug battery and next-generation motor controller. The Hybrid 24’s intelligent CAN bus technology optimises communication between the individual electric components of the bike, ensuring you always enjoy the best possible riding experience. The Hybrid/ 24 offers a range of up to 70km (40 miles) with a top speed of 25km/h (15.5mph). Urban mover UM44SL offers High Power S type 37V high torque brushless motor with Panasonic 37V 9Ah Lithium Battery up to 80 Km of ride. Lightweight only 23.5kgs and step through or crossbar frame design available. 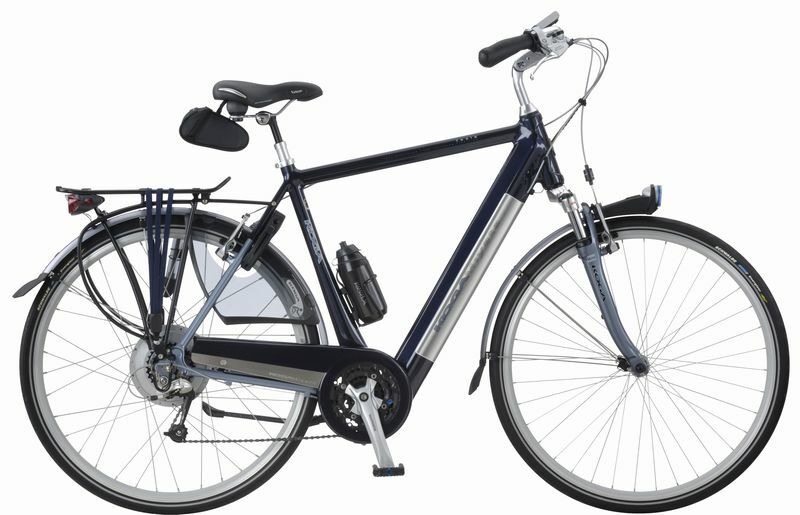 With Alivio 9-speed, 24 - and 27-speed dual drive up to 11 speed Alfine, the Winora presents several bikes of Family Line 2013. Winora Family consist of Mionic Mittelmotor 36 Volt, 250 Watt motor and 36V Li-ion battery of upto 396Wh. Enjoy the ride with up to 100Km range. 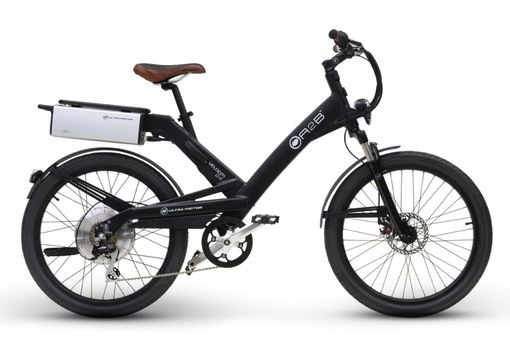 The self-stabilizing e-bike can stays upright all by itself while being propelled and steered by electric motors. This bike can literally stands up by itself. 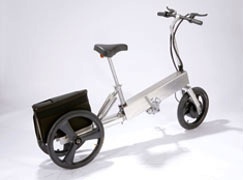 The London Garden Folding Bike is designed to generate energy when riding and this energy can be used as currency to pay for your bus rides. It was created in accordance with the London Garden, a concept car free zone in downtown London allowing bicycles and busses only as transportation means. 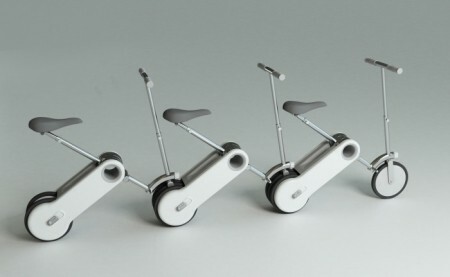 The Train Bike is an electric bicycle concept which is inspired by the train cars. 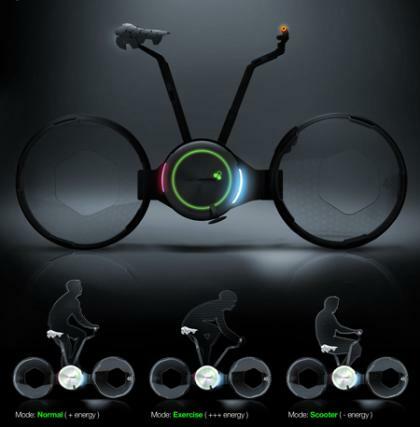 You have your own bicycle which can be driven alone or be attached to other electric bikes. 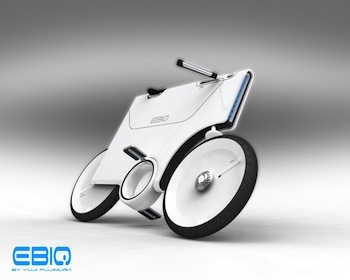 Biquattro is an electric bike that can transforms into an electric trike with a storage place. Tricycle or bike trailers are great for carrying big loads but most of the time, we don't need the storage place. 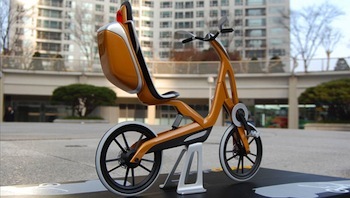 This concept bike may hold a solution. 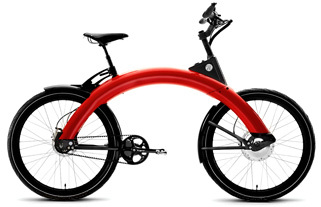 The Copenhagen Wheels differs from other electric bikes as all components are elegantly packaged into one hub. 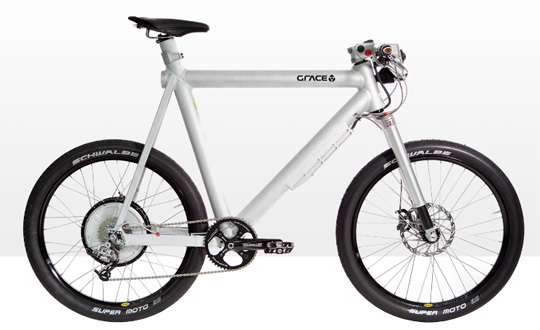 There is no external wiring or bulky battery packs,making it retrofittable into any bike. The Volkswagen Bike can folds down into your car spare tire compartment. As you drive along in your car, it will charge the battery of the bike so the it will be fully charged when you'll arrive to your place of your destination. Auto Velo offers more connivence and comfort to the commuter by offering a seating position which resembles the siting position of a private car and not the reclining position of a road bike. 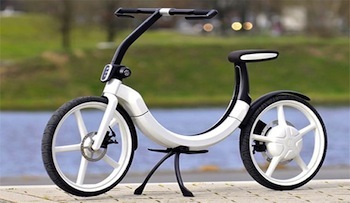 Electric Bicycle Ver 2 is a "smart" bicycles. It offers a power source for charging your gadgets while riding it and a lot more.